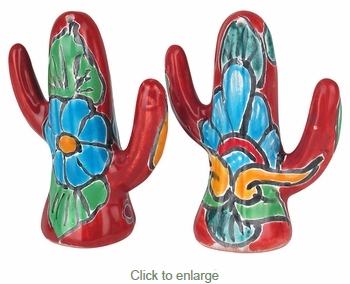 This pair of saguaro cactus Talavera salt & pepper shakers will bring the southwest to your table setting. Our Talavera salt & pepper shakers are dishwasher safe. All of our Mexican Talavera tableware is handmade and hand painted by Mexico's talented potters.